In your project and account settings on the web, you can add categories, in addition to dragging and dropping the categories to re-arrange the order. What does this order mean? The order that they are put in will reflect in the order the categories appear on your daily report. 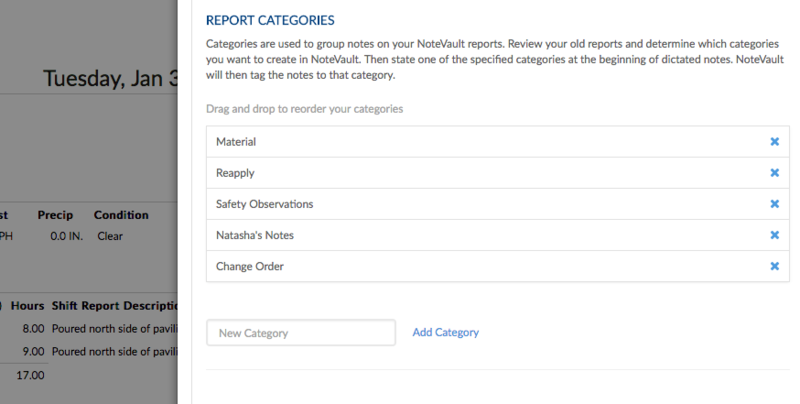 Simply tag notes to categories, and they will be put into the daily report under that category. Once logged into the NoteVault website, click on "ACCOUNT SETTINGS" (displayed as a gear icon) on the top right. Click on "Global Default Settings." Scroll down to "REPORT CATEGORIES." Drag and drop to re-arrange the category order on your daily report. Add a note by clicking on "ADD" (displayed as a plus sign). Pick a category from the drop-down menu to the right of where you type your note. Click "Add" when you are done. 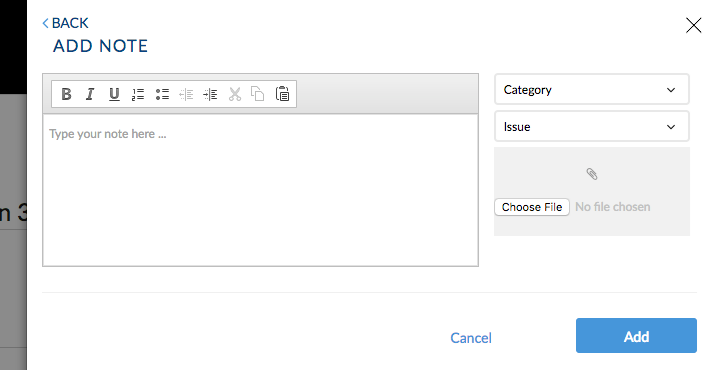 To tag an existing note to a category, hover over the note and click on the note menu icon (displayed as ☰). Select the category you wish to tag the note to from the "CATEGORIES" drop-down menu. Click "Save" when you are done. Open the NoteVault Notes! app on your Apple iOS or Android device. You must take a note before you tag it to a category, so once you have a note you would like to tag to a category, tap on "Tag Category." You will then see a screen with a list of categories. Swipe the switch for the category/categories you would like to tag the note to. When the switch is yellow, that means the note is tagged to that category.